This 4-side brick home in established Buckhead neighborhood is dressed for success in new neutral paint throughout & gorgeous new serene marble master bath. This well-built home has solid hardwoods throughout, chef's dream kitchen overlooking family room w/top-of-line appliances, walk-in wine cellar for 1600 bottles, slate floors in fireside rec room on terrace level, spacious dining room, mudroom & more. Beautiful backyard provides shady comfort but could be cleared out for play area. Location is the best & so is the price. Directions:West Wesley to Westover to Brookdale or Peachtree Battle Ave toward Northside, right on Montview. Turn left on Manor Ridge, right to Brookdale. SchoolsClick map icons below to view information for schools near 2620 Brookdale Dr Atlanta, GA 30305. Home for sale at 2620 Brookdale Dr Atlanta, GA 30305. 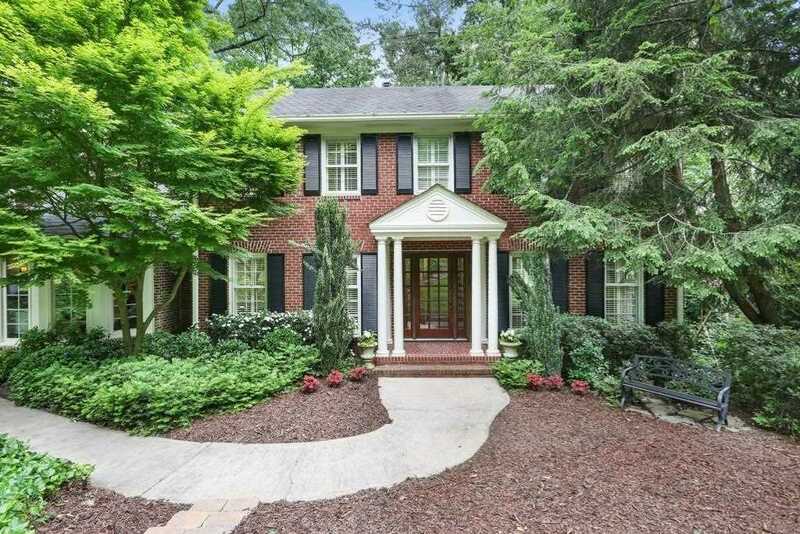 Description: The property at 2620 Brookdale Dr Atlanta, GA 30305 in the Haynes Manor subdivision with the MLS# 6125830 is currently listed for $740,000 and has been on the market for 80 days. You are viewing listing details of the home for sale at 2620 Brookdale Dr Atlanta, GA 30305, which features 3 bedrooms and 3 bathrooms, and 3100 sq.ft. of living area.